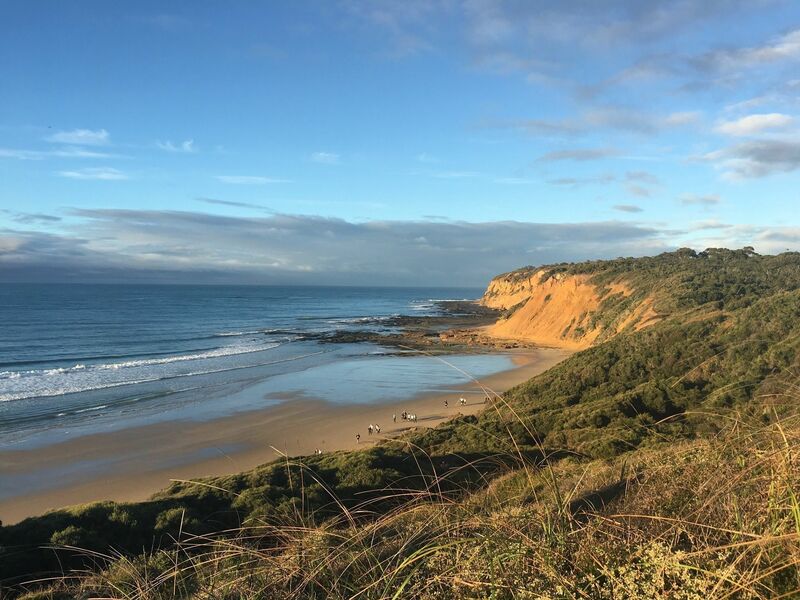 Surf Coast Walk is a 41.2 kilometer moderately trafficked point-to-point trail located near Torquay, Victoria, Australia that offers the chance to see wildlife and is rated as moderate. The trail offers a number of activity options and is accessible year-round. A 2½ day walk along the coastal cliffs, big wave beaches and superb flowers. Starts at Point Impossible and ends at Fairhaven. 1.5hrs walk from pt addis to Anglesea. started from end of Hurst rd through bush along cliff top trails though heath. The best walk/hike to do as a school camp. I did this as part of the Surf Coast Trek fundraising event. Surprisingly I did it in about 7hr, 30mins... non-stop pretty much! The views were so incredible that it helped pass the time! And having so many other walkers helped me get through the day. It would be a great trip over a weekend with a mate or two however. I recommend it to anyone who loves the coast, bush and long hikes!! Perhaps crazily, a friend and I embarked on this walk as a day hike, starting early in the morning and finishing the 42km at twilight the same evening, generally going at a pretty brisk pace. After a bit of searching, we finally found the sign at the start of the track at Point Impossible, but had trouble finding the actual beginning of the track. In fact, we didn't find it, just played it by ear until we found a distinct track. We got all manner of weather at this time of the year from beautiful sunshine, to drizzle, heavy rain, wind, but mostly pleasant walking weather. The scenery held beautiful variations from bushland to beach, populated areas and boardwalks. A stop at Anglesea for a hot cross bun and coffee was a welcome break in the walk. All in all, a great day! Needless to say, when we finally sat down after getting home, we weren't moving again in a hurry.